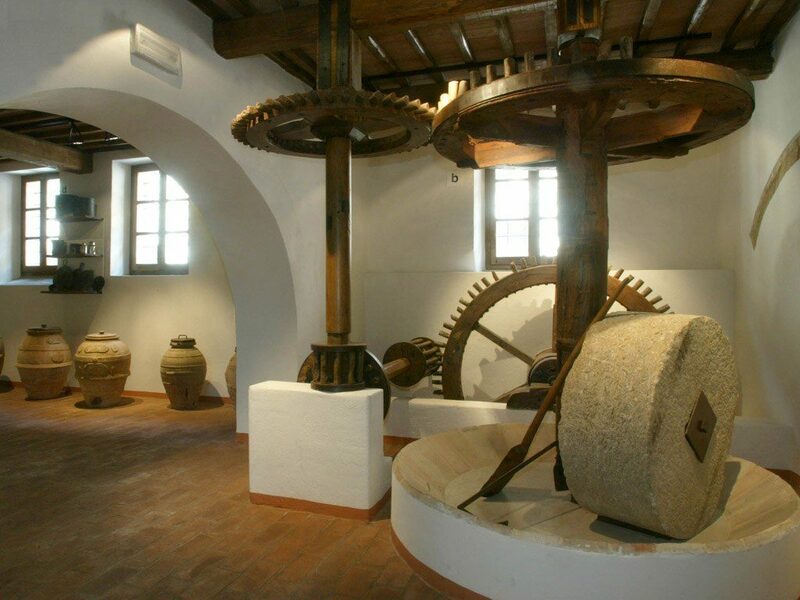 The Olive tree Museum is located in Imperia, in one of the most important olive-growing areas of the Mediterranean , the Italian Riviera, located on the northern edge of the region of growth ‘olive. Currently olive trees cover the surface of the Riviera di Ponente from the coast to the inner valleys and at higher altitudes tolerable from the plant, occupying every corner and every meter even on steeper slopes thanks to the typical “bands” terraced, narrow strips of land and contained supported by dry stone walls. The Museum was born dall’allestimento exhibition of the collections gathered during decades by Carli family , founder in 1911 of the oil industry Fratelli Carli. The museum exhibition is housed in an Art Nouveau building built during the Twenties as the seat of Fratelli Carli and still surrounded by the establishment olive oil. In the building of the Museum are accommodated warehouses and specialized library – available on request – dedicated to the olive and olive oil. A small building houses the front hall for conferences, lectures and screenings. L ‘ olive is a sturdy tree, able to withstand winter temperatures below -6/7 ° C and withstand long summer droughts. It is grown in areas with average rainfall of 350-400 mm. annual and summer temperatures of 40 degrees. However, to obtain a good production is necessary to provide for some cultural practices during the course of the year. There are hundreds of varieties of olives, oil, canteen and twofold attitude, with different shapes and sizes and are characterized by a different relationship between the core and pulp, and then by an average content of variable oil 18 to 27%. Their productivity depends on many factors, climate and culture, which determine the pace two years of full production. The oil contained in the olives can be extracted by a process which includes various processing stages: breaking of the fruit and mixing of the dough, oil extraction by drawing or pressure, separation of the oil from the vegetation and the pulp particles contained in the fruit. The oil thus obtained must then be carefully preserved to maintain the organoleptic and chemical characteristics.